Axel F returns to fonktify your Memorial Day weekend. Now with Lazer Boogie and MORE ACTIVATOR THAN EVER BEFORE. DJ Jahsonic and Adrian Loving will be enjoying some well-earned travel time, so we tapped our League of Extraordinary DJs to find another suitable co-pilot. DJ Keenan Orr knows his jams and how to create a freakshow on the dancefloor. This special guest will be joining resident DJ Stylus, so make him feel welcome! 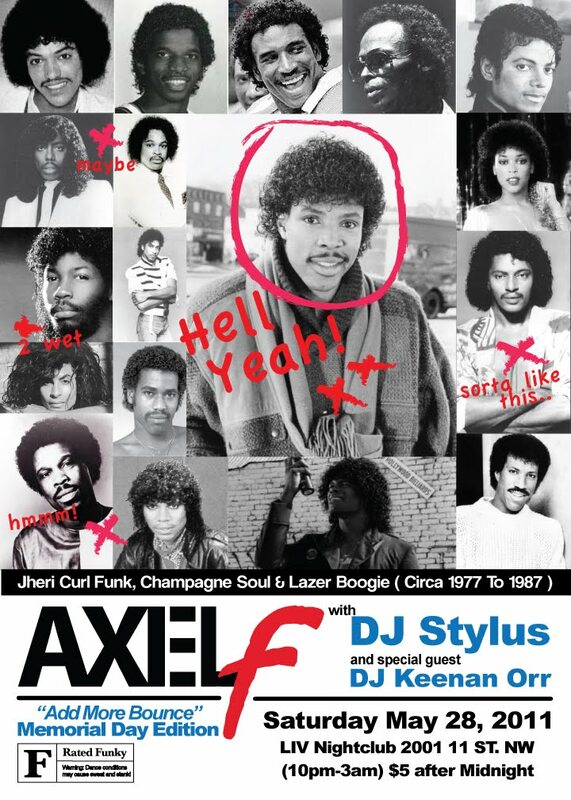 Thanks to all of you special people who've made this party slicker than Stoney Jackson's curl. Here's a segment from last month's throwdown.